The premier business networking drink in Madrid. 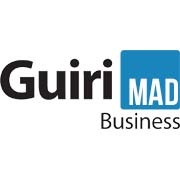 ***Entrance is free for Guiri Business Drink for LinkedIn members and an RSVP is required to attend. As always, our local hosts offers us 20% discount on all drinks, and is hosted by Giovanna Paola Girardi and Irene Gil.